paralysis and is the first dog I gave mouth-to-snout resuscitation. What is it about being a new graduate veterinarian that is so difficult? One day, in my first few months out, sole charge in a practice, I found myself in tears and needing assistance with a patient. A very generous veterinarian from a nearby practice arrived, assisted me with a task that would have been simple if I had had someone to ask, and said to me, “You couldn’t pay me a million dollars to relive my first six months out [of uni]”. I had expected her to tell me I was incompetent, that I shouldn’t be a vet, that I was out of my depth. Her words had a soothing effect because I realised I was not alone, and that the stress I was experiencing was normal – or at least not abnormal. Because really, a lot is expected of new graduate veterinarians. Doctors are eased into practice in internships, residencies and extensive post-graduate training programs. On day one, a companion animal veterinarian is expected to be able to make a diagnosis, perform complex surgery (a routine spey or desexing of a female dog involves an ovariohysterectomy, with hand-tied ligatures, and let’s not forget that the blood vessels one is tying off emerge from the abdominal aorta) and manage multiple cases, all while delivering excellent customer service. And knowing that if you get something wrong, it could cause an animal to suffer. Not for the faint-hearted, I can assure you. I had dinner with a former student last week. University training for veterinarians has really improved with most final year students spending the majority of their time in clinics. And yet, she said, that doesn’t inoculate one against new grad stress. Once you graduate an invisible (but heavy) cloak of responsibility is placed on you and you can’t take it off when school’s out. Suddenly, worrying about patients has the power to keep you up all night. Was that fluid rate appropriate? Should you have added gastroprotectants into the treatment regime? Did you forget to do a rectal exam when it was indicated? I think it is possible to survive and thrive as a new graduate but I don’t think it’s something one can do alone. You need a brains trust, a support network, a meticulous self-care strategy and a bucket load of tips and pearls of wisdom that it’s impossible to teach someone in class. Things that older, wiser practitioners have learned, sometimes the hard way. Like never, ever, EVER probe a cat’s teeth when that cat is conscious, even if the owner says that cat is the nicest, sweetest, loveliest little angel in the history of the universe. I was fortunate enough to have many kind souls who, though not formal mentors, guided me through those first few years and encouraged me. It’s one reason why I am committed to helping junior colleagues. 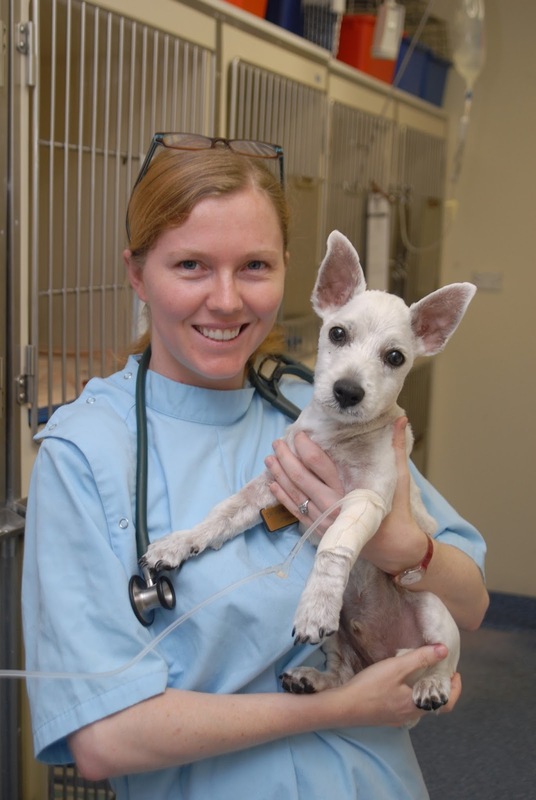 The Centre for Veterinary Education is holding its second Recent Graduate Survival Seminar in November. Back by popular demand, the aim is to help new, recent and returning graduates transition into or back into practice, with a particular focus on the emergency patient. The two-day seminar, on November 20 and 21 in Sydney, covers a range of topics including toxicology, seizure disorders, thoracic imaging, acute pancreatitis, patients requiring ventilation and communication. I will be talking about continuing education (notably, how to feed your brain without blowing your mind). This course is offered at a heavily subsidised rate of $150 which includes food (yey!) so it’s definitely worth coming along if you’re free. For more info visit here. Obviously I have a vested interest in plugging it, because I will talking, but I do think its a great program and the line up of speakers (Kath Briscoe, Jody Braddock, Patrick Byrne, Erin Mooney, Joanna Whitney, Karina Graham, Georgina Child, Sarah Davies and Rosie Overfield) is fabulous. Plus you can hit them with burning questions over morning tea or lunch. If you can't make it do remember that there are plenty of opportunities to chat with supportive colleagues (face to face conferences are a gold mine), you just need to take the initiative. And almost any veterinarian worth their salt will make time to chat to a colleague who needs a bit of a hand, a word of advice or just someone to say "you're doing alright".